From insomnia and candida to joint pain and allergies, countless health problems plagued my life. My allergies were so bad that I was not able to eat the same food within a 72 hour time frame. I struggled with a wide range of health issues throughout my life, and I am sure I am not the only one. Mainstream medicine did not help my problems, and I initially switched from using medication to natural substances, in an attempt to control my symptoms and regain health. Eventually, I had cabinets full of supplements and a restrictive diet that made me feel like a prisoner, since I was so afraid of what I could eat. Taking minerals, such as calcium, magnesium, and zinc, did actually medicate or help certain symptoms I had, but also caused other problems in return. In my quest to reach an optimal level of health, I came across hair analysis and Nutritional Balancing Science, which is a process that eliminates toxins and guides restoration of minerals in the body. This was just one more thing I was going to try for my health, but it ended up completely changing the course of my wellness path. It all started with my first hair tissue mineral analysis test. Hair Analysis Tests allow nutritional counselors to guide a nutritional program for each individual to successfully remove the reasons why toxic metals are accumulated in their body. Hair analysis retesting follows up on the body mineral balancing process and progress, to ensure the program recommendations are effective. The impact on my health and livelihood was so great, that I changed course and obtained my own degree and certification in the field. The biggest problem with the current wellness revolution is that people (like me years ago) do not realize that supplementing with even a simple mineral, such as calcium or zinc, has an affect on every other mineral in the body. In plain English: it is scientifically impossible to change the level of one mineral in the body without simultaneously affecting the levels of all the other minerals. Vitamins and glandular products also change electrolyte mineral levels, so hair analysis testing is critical to guide and monitor a nutritional and Body Mineral Balancing program. The body is created in an amazing way that allows it to use the most efficient minerals that are present. If the correct mineral is not in its place, often due to the intake of foods stripped of nutrients or by incorrect or inadequate supplementation, then the body adapts. Body adaptation is similar to a person locked out of their house. They decide to enter by going around to the backyard, climbing up a ladder, breaking a window, and crawling inside. Although this alternative accomplishes the same goal, it consumes significantly more energy and takes more time. This scenario is similar to what occurs in the body when vital elements are substituted with toxic or displaced minerals. The alternatives will manage to get the job done, but at a dramatically less efficient rate. Most people in the wellness revolution are using chelation therapy to try to eliminate toxins. What they don't realize is that chelators, whether natural or prescription, are nondiscriminatory. Chelators tend to remove good minerals along with the bad, which can create even more problematic imbalances that take longer to fix. The body’s energy is derived from mineral levels and ratios, so the removal of any critical minerals, even to eliminate some of the bad, can harm the body. Those who use chelation therapy also do not think about fixing the problem of why the body accumulates toxins in the first place. Nutritional Balancing Science helps the body become less susceptible to accumulating toxins, because the recommended supplements provide the preferred good minerals based on an individual’s bio-chemical individuality. The body will always use preferred minerals over toxic substitutes with more cellular ideal energy production. The results of a hair analysis test relay information about the thyroid and adrenal gland’s energy production, detect toxic metals, and explain metabolic trends that the body will experience if it stays in a specific electrolyte pattern for very long. The desire is only to supply the body with the minerals, vitamins and glandular supplements it needs to adjust its energy production rate to a more ideal range. The body uses food to produce energy for use at the biochemical level, and because of a variety of factors, including stress, energy production is often compromised. Eighty percent of people tested with hair analysis resemble a car in sixth gear going 5 mph; they do not have good gas mileage and build up carbon in the wrong places. The other 20% are in first gear going 100 mph, are overheated and have different problems. The body is electrical and its equipment will only activate and work when we have the ideal levels and ratios of minerals. This is similar to a dead car battery; the car can run and drive, but the user will not be able to listen to the radio, run the air conditioner, and so on, since the battery won’t hold a charge. The body works the same way. We have mineral electrolytes that are imbalanced, so the goal is to speed up an individual’s slow metabolism or slow down an individual’s fast metabolism. When this is accomplished, the body can optimize its energy and work more efficiently. A hair analysis test is a noninvasive tissue biopsy. It is unlike a blood test, since blood is so affected by the food you eat. You may know someone who had a hair analysis test done, or maybe you have had one yourself. A lot of people will get a hair analysis test from their doctor, or get one to see what kinds of minerals and toxins are found in their hair. A hair analysis test can explain many things, as it measures the hair’s mineral content, detects toxic metals, identifies metabolic trends, assesses organ gland and tissue function, and monitors progress. However, it is important to note that a hair analysis test does not measure all of the body’s toxic metals. People often think if they have a hair analysis done and the chart shows low toxic metals, it means that they are not toxic. However, that is the opposite of what this result represents. People whose tests show low toxic metals are referred to as poor eliminators. It takes efficient energy and the uptake of the preferred minerals for the body to excrete toxic metals and enable measurement of them. It is also important to note that the levels of toxins go up and down during mobilization and dumping. The truth is we would have to cremate the entire body and then test it in order to determine the complete toxic load. However, hair analysis testing is still very important. A person’s metabolism excretes certain minerals and toxic metals into the hair, from which we can derive conclusions to optimize energy production. One of those conclusions that we can determine from a hair analysis test is the oxidation, or metabolic, type. A simple explanation of this is that a fast oxidizer has an overactive adrenal and thyroid function, while a slow oxidizer has an underactive adrenal and thyroid function. In more detail, a fast oxidizer is similar to a wood stove that overheats the room and runs out of fuel very quickly. We want to slow down their metabolism. When a fast oxidizer feels like they are slowing down, they do not give in to the feeling, but attack it. They want to maintain their same pace and use stress to keep going. Someone who falls to pieces when things are too calm and quiet is likely a fast oxidizer. They need to stay hyped up or they collapse. Fast oxidizers tend to perspire a lot, are prone to high blood pressure, and have frequent bowel movements or diarrhea. In contrast, a slow oxidizer resembles a fire that you try to start, but it only smolders and never takes hold to give off enough heat. We want to speed up a slow oxidizer’s metabolism, as they release energy very slowly. A super slow oxidizer tends to feel weak, tired, and lethargic, and is a person who does not feel motivated to start new things. They are too tired to even care about what happens around them. Slow oxidization is actually the body’s defensive holding pattern against stress. Some people may actually be a mixed oxidizer, with one gland that is fast and one that is slow. This can result in the body crashing and contribute to unstable energy. The goal is to have a balanced oxidation rate, which represents the most efficient metabolism. With a hair analysis test, we can learn how to slow down or speed up a person’s oxidation rate with proper nutrition and supplementation. As the body’s energy production increases, the body is able to function much more efficiently and the minerals can go where they are supposed to in the body. People with a balanced oxidation rate have a steady, controlled, constant release of usable energy. They are happy, content, open, uncomplicated, and possess an inner calmness. With the purchase of a hair analysis test, you receive nutritional recommendations based not only on the test results themselves, but your health information and history. A lot of people who have a hair analysis done already take an abundance of supplements to try to remedy their health issues. They may choose to continue to take these supplements with the new recommendations; however, this hinders the ability to effectively change the electrolyte levels. The metabolic packs, glandular, minerals, and digestive aids that are recommended with a Nutritional Balancing Program are very scientifically designed. The intake of other supplements that are not recommended can interfere with the job the recommended ones try to accomplish. The more you follow the specific program and recommendations given to you, the better results you will see. In addition, it is best to start out with small dosages of the supplement recommendations, as they are very powerful. We advise you to give your body time to get used to them and slowly work up, as you release toxic metals and metabolic wastes. The primary goal of a hair analysis test is to balance the body’s chemistry. When this occurs, there can often be a rapid elimination of a metabolic toxin or toxic metal. When this process happens, a person can experience the re-occurrence of old symptoms, an aggravation of current symptoms, or even the appearance of new symptoms. The experience of any of these kind of symptoms in response to a Nutritional Balancing program is referred to as a healing reaction, flare-up, or retracing. Sometimes the body will not completely heal a symptom if it does not have enough energy to do so. When the energy level of the body is increased, it will then attempt to heal the old symptom, which may cause it to reappear. When the body has the energy, it is going to deal with releasing the toxins that it does not want there. However, it is important to understand what exactly happens biochemically with retracing. This enables us to know if these signs are a welcome change in healing, or if action needs to be taken. The first step to produce a healing crisis is to remove blockages and supply the missing nutrient factors. Each person is a biochemical individual and may have higher needs for certain nutrients at different times than at other times. The consistency of good biochemical energy is what the body needs for all cellular functions to occur. The second step is to restore regenerative energy at the cell level. This is an important step to restore the body’s own healing energy. Everything at the cell level takes energy. Once the body’s energy production is enhanced and can remove blockages, the body’s chemistry begins to change. This leads to the elimination of metabolic poisons and toxic metals, a shift in the endocrine glands, and helps the body rebuild tissues. The only way to get well is to get rid of these toxic substances from storage tissues in the body. When those begin to be released from tissues to the bloodstreams, there are adjustments in the body chemistry that happen. It is similar to lifting up a rug and exposing the dirt that needs to be swept out. The body lays up the preferred minerals in the place where the toxic metals were. People may experience emotional retracing, along with physical symptoms. Sometimes thoughts or memories are brought to consciousness, which can be evaluated and released. A Nutritional Balancing program helps to cast out old attitudes and bring in a more emotional balance. Regular hair analysis retests can provide us with clues regarding retracing symptoms and then determine if your current program is still appropriate for you. Sometimes we can temporarily stop the supplements on a Nutritional Balancing program to slow the body’s dumping, decompensating, and healing reactions. We encourage elimination with therapies such as near infrared saunas, coffee enemas, drinking ozonated water, skin brushing, and meditative time. These are all wonderful to help the body eliminate and deal with these toxins. Rest will also help the body regain balance from healing reactions. It is a vicious cycle until the body is done dumping. Once you rest and start feeling better, the body begins to dump again, and you will feel tired. That is why a hair analysis test is critical. When the oxidation rate is slow, we make more recommendations to speed it up and continue the correction. Unfortunately, the process can feel like a roller coaster until all is eliminated. The body rarely experiences retracing or healing reactions with conventional medical treatment. If you have any questions or concerns during this process, you can always contact me on my cell phone for a consultation. However, it is important to use your best judgement. If you are having a crisis, seek medical attention immediately. It is important to note that there are many different laboratories that perform hair analysis tests around the world, and none of the methods are standardized. This is kind of strange; as when you have a blood test done, there is a range of normal and the doctor can tell you if you are high or low. In contrast, the hair sample for a hair analysis test is processed differently at each lab, and they all have their own ideal mineral levels and ratios. When I first started to learn and research about hair analysis tests, I ran across information on Dr. Paul Eck. Dr. Eck was a chemist, doctor, and mineral researcher. He formed the laboratory, Analytical Research Labs (ARL), in Arizona, which I chose to use with hair analysis tests for many different reasons. One reason I chose ARL for hair analysis is because they do not wash the hair sample while processing it. There is a study where the Environmental Protection Agency states that washing the hair sample will affect the readings of water soluble minerals in the hair sample. It is vital to maintain accuracy with hair analysis, so it made my choice rather narrow, as only two labs in the world do not wash the hair sample. The second reason I chose ARL for hair analysis is because they utilize Dr. Eck’s ideal levels and ratios. Dr. Eck used hair analysis tests for many years before establishing these ideals. When he first started, he would use replacement therapy; so if someone was low in a mineral such a zinc, he would give them zinc. He found out that often times if you gave a person who was low in zinc more zinc, their zinc would go even lower. Dr. Eck then repeatedly conducted hair analysis tests on pristine, healthy athletes, in a quest to come up with ideal mineral levels and ratios for humans. He figured the best way to determine what was ideal was to test and follow the progress of people who were healthy and at the prime of their lives. He did thousands of hair analysis tests and found that when mineral levels or ratios went out of a certain range, different disease symptoms would appear. Dr. Eck was able to establish these ideal mineral levels and ratios, which correlate well with our ability to normalize electrolyte levels and help the body heal its own health problems. The process of learning what these ideal mineral levels and ratios mean is quite educational. Every cell in the body opens up to let out metabolic waste and closes to take in nutrients. It is an electrical process based on minerals. Three elements of sodium to two elements of potassium are required to open up a cell. Dr. Eck referred to this sodium/potassium ratio as the “life and death” ratio because it is so critical. If this ratio is too low, we can determine that a person’s cells are holding in metabolic waste longer than they should. That person will be prone to infection, copper toxicity, tissue breakdown, and lower immunity. If this ratio is too high, the body will have inflammation and result in the person experiencing a lot of pain. When I had my first hair analysis test done, my sodium/potassium ratio was high and I did experience a lot of pain. However, after a month and a half on a Nutritional Balancing program, my pain significantly reduced almost to the point where I did not feel any at all. When I had my hair analysis retest, the sodium/potassium ratio was lower than before. The information given from a hair analysis test enables us to do something as simple as take a certain mineral to help correct the body’s imbalanced levels and ratios. A hair sample should be taken (cut) about four hours, and no longer than 24 hours, after it has been washed. Avoid use of any potentially contaminating products, such as shampoos with selenium or zinc, when washing hair before sampling. If you have a water softener in your home, wash your hair at least twice with un-softened water before cutting hair for sampling. There is also and ideal length and area of the head to keep in mind when cutting the actual hair sample. Once the HTMA laboratory receives a properly cut hair sample for processing, they will burn and analyze it to determine the mineral content. 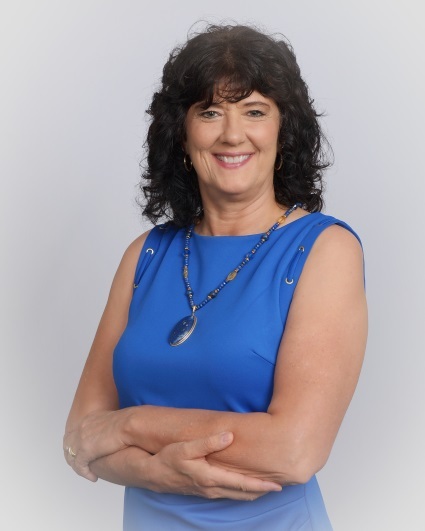 One client, Frederica Christ, who witnessed the impact that a Hair Tissue Mineral Analysis and Body Mineral Balancing program can have, spoke with Go Healthy Next regarding her journey. Frederica had visited medical doctors, but found no relief for the pain she felt in her body. She had issues sleeping, lacked energy and motivation, and overall felt awful. On her first hair analysis test, she discovered that she was in what is called an "All-Four-Low Macro Minerals" pattern". There are an abundance of patterns that can be found with a hair analysis test based on different mineral levels and imbalances, and the four lows pattern is referred to as the tunnel of death. This can leave a person feeling exhausted, stressed, and overwhelmed with life. It was no wonder Frederica had such a difficult time concentrating when her body was in a constant struggle to maintain its health. Frederica also learned about the toxins that were present in her body and began a customized nutritional program to start her movement towards healing. Although the healing process can be slow, Frederica adamantly believes the ability to have an accurate assessment of her health is helpful to make progress and reach optimal health. “It’s wonderful to have answers and that is what’s so encouraging,” Frederica said. She noticed even greater improvements with her children and their hair analysis tests. Her young daughter suffered from neurological issues since she was born, and used to experience explosive migraines on a regular basis. It was so bad that her daughter would vomit from the pain of the headaches. They made multiple trips to the emergency room and were given medications to use for the pain, but the doctors said there was not much they could do for this type of pain. Frederica then brought her daughter in for a hair analysis test and soon discovered that she was very copper toxic. Based on the information from the hair analysis, Frederica’s daughter was put on an appropriate nutritional balancing program to help enhance her health. As of the time of the interview, her daughter had a year’s worth of experience with the program and had yet to have any more migraines. Frederica said she knows the program can work because it worked wonderfully with her child. “Of all the things, that has been the biggest blessing and the biggest transformation of anyone I’ve seen in my family. I’m so grateful,” Frederica said. Frederica’s oldest daughter was also on a Nutritional Balancing program when she was pregnant with her third child. Her first two children, Frederica’s grandchildren, had an abundance of food allergies, as well as experienced rashes, stomachaches, and constipation. In contrast, the third child did not deal with any of these issues, as a result of the mother being on a Nutritional Balancing program during the length of her pregnancy. The child has no allergies, he sleeps through the night, and is the happiest baby Frederica has seen. Her family believes in the power of this program after seeing the difference in health issues in the children. Nutritional Balancing is an excellent tool to invest in for people of any age, but as seen, young children can especially benefit while they are still growing and changing. It is unfortunate that a lot of children are born toxic and passed on heavy metals from their mother through the placenta. The younger a child is, the more dramatic the changes are that can take place to help balance their health. However, nutritional balancing and hair analysis tests are a wonderful investment for people of any age. Pet hair analysis tests are even available to help enhance the health of your animals! You can find information on how to take a pet hair sample here. While the progress of Nutritional Balancing may take longer for some than others, it is such a beneficial tool to help correct the body’s imbalances and restore it to a natural stage of health. Please be aware that hair analysis retests must be done every three months because the mineral recommendations and detoxification protocols can change very quickly. It is interesting how fast the body can dump toxic metals. On one occasion, I sent in two hair samples, one that was a half inch, and one that was an inch and a half. My supplement recommendations were different based on the more current metabolic activity. My biochemistry changed and I was able to see the different amounts of toxic metals being eliminated in a long hair sample versus short. This is the difference between Nutritional Balancing Science and simply buying minerals from the health food store, on the basis that they are supposed to be good for certain problems. If you continue to take the same supplements that are recommended on your first hair analysis test, it can cause you to get out of the range of optimal energy and actually make your problems worse. This is why it is so important to get regular retests and make sure you maintain your body’s healing process. It can take a long time, but as long as you continue to properly supplement your body, you will be headed in the right direction. I was horrified after I began using hair analysis and a Nutritional Balancing program, because for so many years before, I spared no expense on supplements and anything I could try to naturally improve my health. One of the things I did was take a lot of calcium and magnesium, since it helped me with my sleep and regularity. My intake of calcium actually lowered my potassium level and caused my thyroid function to reduce. How many times have you taken a natural substance to feel better in one area, but then had other problems surface? Thanks to Nutritional Balancing Science, I am no longer taking imbalanced amounts of minerals. It is important that we get an adequate and balanced amount of minerals into our bodies. You can learn about which minerals your body needs with a hair analysis test. Hair analysis and Nutritional Balancing Science started out as a sideline hobby to try to restart my health, and it led to this opportunity to help other people. I want people to learn about this special program that tremendously helped optimize my health. At age 54, I feel better than I did when I was 25 years old. I can actually eat food that I want to, my joint pain is gone, and my Hashimoto’s is gone. I have a passion for this program and want to spread the message to as many people as possible. To summarize, hair analysis enables us to learn what the correct amount of minerals are for each person and their individual biochemistry. This test is a priceless mechanism for enhancing a person’s health. Please note that a hair analysis test does not provide a diagnosis of any disease; it is used to identify mineral levels, mineral ratios, and toxic metals which can help guide a Nutritional Balancing Program. Dr Eck believed that if every cell in your body had the right mineral instead of a toxic metal, your body would function like a new car. You can use a hair analysis test to make progress towards fixing your mineral imbalances, which can be caused by a stressful lifestyle, nutrient depletion, and toxic metal exposure. Hair analysis enables us to learn about each person’s body’s biochemical individually and the correct blends of minerals that should be taken to reach optimal health.